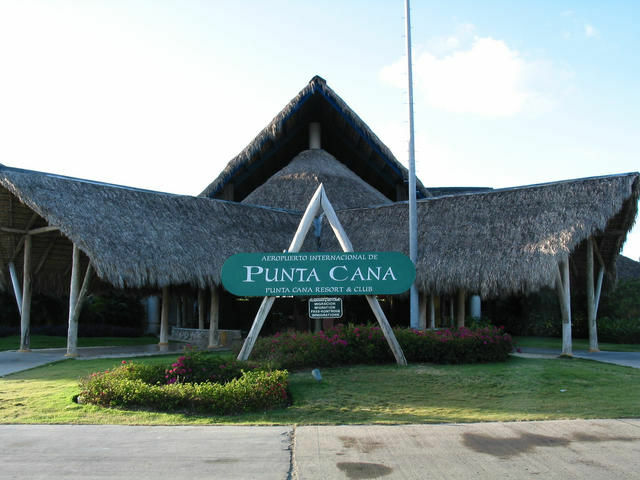 Punta Cana International Airport (PUJ) is the largest, busiest and best serviced commercial airport in Punta Cana, eastern Dominican Republic. The airport is built in a traditional Dominican style with open-air terminals with their roofs covered in palm fronds. It is private airport, Grupo PuntaCana built it in 1984. A number of scheduled and charter airlines fly to Punta Cana is so high that even the Las Americas International Airport in Santo Domingo can’t keep up. According to Wikipedia, currently there are more than 4.5 million annual passenger movements in more than 15,000 commercial aircraft operations. Punta Cana Airport includes a new runway, a control tower equipped with the most modern radio and air traffic control equipment in the Caribbean. Additionally, there is a new Terminal Approach Radar Control (TRACON) facility and a new Automated Weather Observation Station (AWOS). This new facility also provides a back-up to the National Radar System located in Santo Domingo. Punta Cana International Airport, like all airports in the world, include services like Currency Exchange, Duty Free Shop, Restaurants, Shopping areas, Parking & Transportation, Lost & Found, and customs services. Restaurants and Bars – variety of choices, on food court you can find everything from tipical dominican food to popular food chains like Baskin-Robbins, Wendy’s, Nathan’s, Cinnabon, Sbarro. Shopping – beside dutu free shop you can find kiosks with local music (bachata, merengue, salsa) and hand made crafts and arts, also you can ask for free drive to Galerias Puntacana and check even more specialty shops, restaurant and cafes. Parking & Transportation – almost all hotels and resorts will include transport to their premises and back to airport, but additional options are available too, regular taxi, tour buses and shuttle services as well as rent a car agency services from Dollar, Hertz, Avis. Parking for vehicles is free, within walking distance of the airport. Clearing Dominican Republic customs – To enter the Dominican Republic most visitors need only a valid passport with two blank pages. At the customs and immigration desk in the airport you will receive a 30-day tourist card (US$10 fee) instead of a visa. By Dominican law, there is also a US$20 departure tax, the cost of which is usually included in your airfare. Some visitors may need additional travel documents, check local restrictions. In addition, you can spend your time in coffee bars and regular bars, leave few bucks on casino machines, get kids busy in children’s playground area, buy what is needed in pharmacy, ask for information on tourism information desk, use telephone services and check email in some of free wifi zones.